If you check out biography.com’s overview of Ronaldo's life, you'll notice that his name has a certain meaning to it. The youngest of four children, Ronaldo was actually named after famed US president, Ronald Regan. However, it wasn't Regan's political prowess that inspired the name, it was his acting abilities. Before he entered politics, Regan was an actor for Warner Bros before he turned to TV. 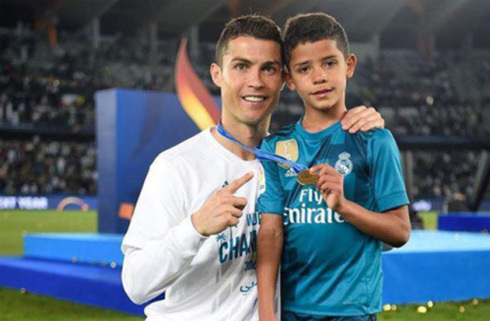 Ronaldo's parents, Maria Dolores dos Santos and José Dinis Aveiro, were such fans of his work that they decided to pay homage to him via their last born. Sure, his face might be plastered across billboards around the world, but Ronaldo also has something of a poker face. In the same way that other footballers, such as Neymar Jr and Teddy Sheringham have taken to the game, Ronaldo now enjoys the thrill of betting. Of course, that's not the only game in town when it comes to betting. If you click here, you'll see that everything from blackjack and roulette to slots also offer the same sort of adrenaline rush as poker. However, for now it seems, Ronaldo is content to put on his serious face and bluff his way to even more money. England fans will always remember the infamous wink that followed Wayne Rooney's sending off in the 2006 World Cup. In fact, it's just one of the more questionable moves Mr. Ronaldo has made on the pitch over the years. However, did you know that in 2017 he found himself in trouble with the Spanish tax authority? According to their calculations, Ronaldo owed €14.7 million/£12.9 million in tax on undeclared income between 2011 and 2014. At the heart of the issue was the money Ronaldo received for the use of his image in Spain. The man himself has denied allegations that he has underpaid and will no doubt be fighting it in court for a while. Despite his recent tax issues and the way he likes to rile players and fans, Ronaldo is actually a nice guy. Once you strip away the competitive side of his personality, the Portuguese star is capable of some truly inspiring feats. Perhaps one of the most unexpected yet positive gestures he has made was to save 80 dogs. According to reports, Ronaldo heard that the Cantinho da Lili kennel in Portugal was struggling for money and wanted to help. Apparently, a volunteer at the dog shelter is a distant relative of Ronaldo, so he signed a shirt for the charity to auction off. Nice! Cristiano Ronaldo next game for Real Madrid is on December 23 of 2017 against Barcelona. 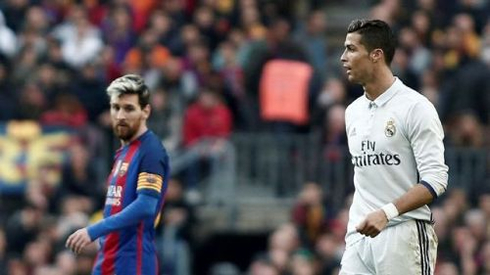 You can watch Juventus live stream, Real Madrid vs Barcelona, PSG vs Caen, Leicester City vs Manchester City, Everton vs Swansea City, and Bayern Munich vs Borussia Dortmund, all matches provided from our streaming football game pages.